Pfc. 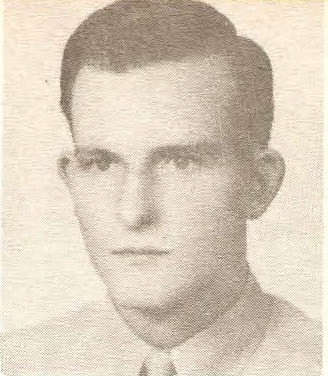 Ernest W. Hunt, son of Mr. and Mrs. E. W. Hunt, Olney, attended Olney High and Texas A&M. Entered Army, 1943, trained at Camp Blanding, Fla. and Camp Shelby, Miss. Served in France and Germany. Awarded GCM, ETO with 2 Battle Stars, Victory and Combat Inf. Badge. Discharged in 1946.